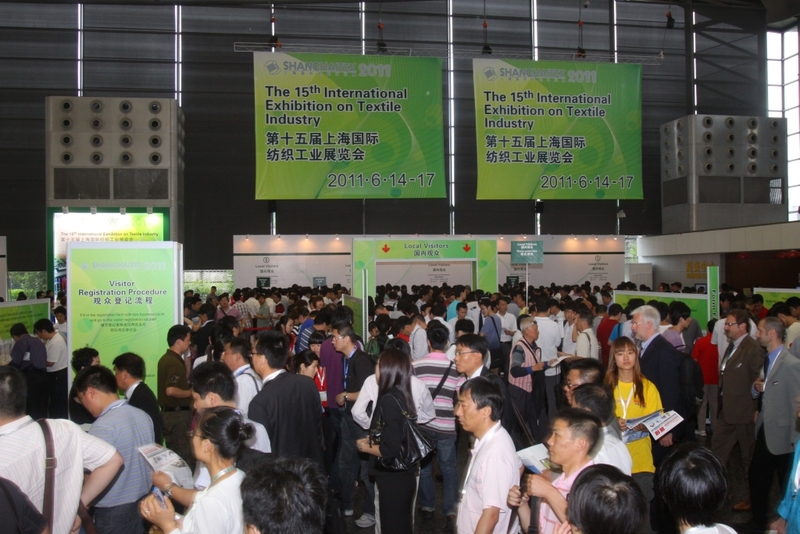 Being the long-standing textile machinery exhibition, the 15th International Exhibition on Textile Industry (ShanghaiTex 2011) ended successfully on June 17, 2011 at Shanghai New International Expo Centre, Pudong, Shanghai. ShanghaiTex 2011, focusing on the innovation, upgrading and transformation of enterprises, attracted more than 1,000 exhibitors from 23 countries and regions participated, showcasing 1,430 machineries in an exhibition area of 92,000 sqm. The 4-day show recorded 55,080 local and overseas professional trade visitors and buyers from 72 countries and regions visited and sourced at the show, in which 9.4% are overseas visitors. Top 10 countries are: India, Korea, Japan, Thailand, Indonesia, Pakistan, Turkey, Bangladesh, Vietnam, Russia. During the opening day, Mr. Gao Yong, Vice President of China Textile Industry Association, Mr. Yang Ji Chao, Secretary General of China Textile Industry Association, Mr. Zhu Yong, CEO of Shanghai Textile Holding (Group) Corporation, Mr. Du Shuang Xin, Chairman of Shanghai Textile Technology Service & Exhibition Center, Mr. Zhao Jian Dong, Vice President of Shanghai Chamber of International Commerce, Mr. Stanley Chu, Chairman of Adsale Exhibition Services Ltd together with other honorary guests visited the show. They reaffirmed and gave high appreciation to the exhibitors at ShanghaiTex 2011. In ShanghaiTex 2011, many products and equipments were brand new and newly introduced to the international market while there were more updated and improved exhibits, which instilled the main theme of technological transformation of industry, research and development of equipment during 12th Five Year Plan period. The exhibits, including woven fabric machinery, weaving machinery, knitting machinery, dyeing and finishing machinery, textile chemicals additives, garment processing machinery, testing equipment, textile spare parts are displayed in 5 special theme zones. Despite the difficult situation of textile industry, ShanghaiTex 2011 gained fruitful result at the fairground. According to partial statistics collected from exhibitors, the transaction were more than RMB1.1billion until June 19, 2011, in which 65 sets of machines were transacted with an amount near RMB50 million. Around RMB1 billion purchasing order are still under discussion by exhibitors and their buyers after the 4-day exhibition. The exhibition reflected that the general visitors were concerned much more about the advanced technological and innovative equipments. In addition, the purchasing amount for energy-saving equipments and digital printing machinery increased immensely. The demand for cotton spinning machines was much more from buyers in the northwestern regions of China. Apart from that, the branded enterprises will optimize their manufacturing and industrial chain by investing heavily in equipments and plant facilities. 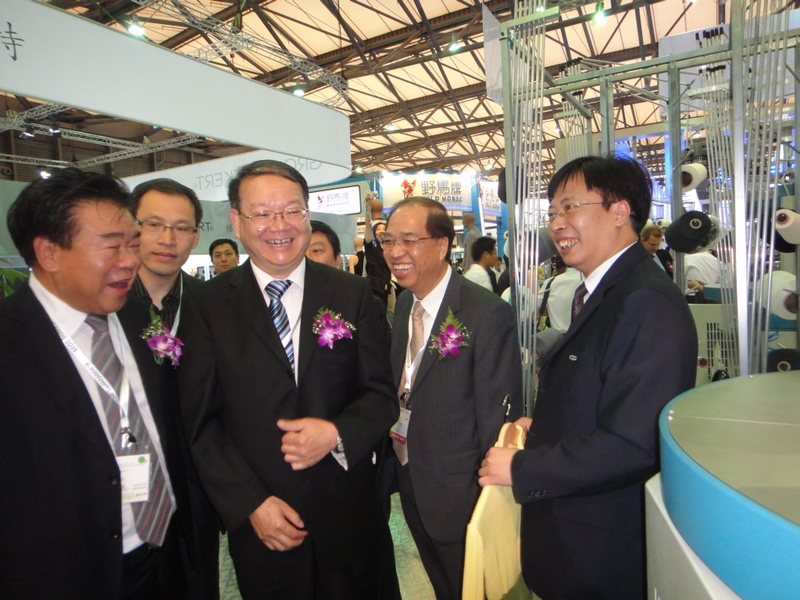 June 14, 2011: Led by Fujian Province Changle City Deputy Mayor, a group of more than 200 cotton textile, chemical fiber, warp-knitting enterprises visited ShanghaiTex 2011. They aimed to take advantage of the exhibiting platform of ShanghaiTex 2011 to introduce the development of textile industry in Changle, which reinforced the exchange and corporation with local and overseas enterprises. 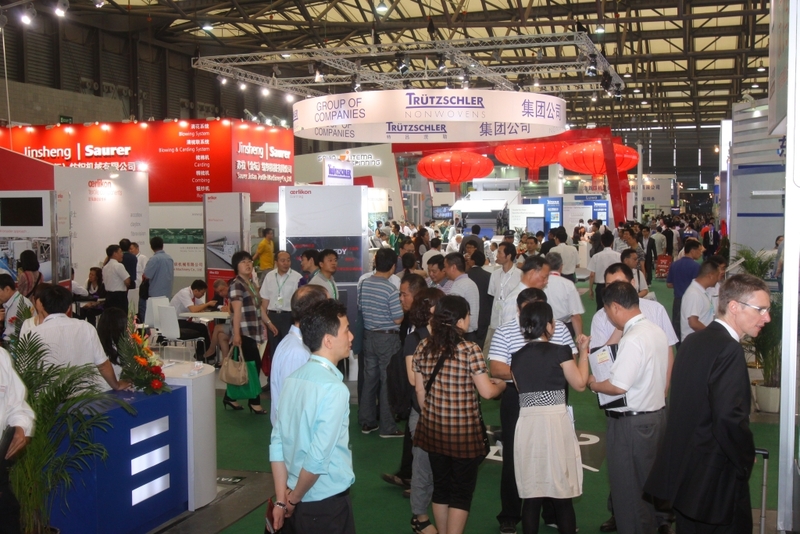 June 15, 2011: A networking session for key exhibitors and overseas buyers was held. 20 high quality manufacturers, traders, importers and some retail brands from various countries such as India, Mauritius, Morocco, etc. which are in the knitting, dyeing and finishing industries, met with more than 30 key exhibitors for direct face-to-face business matching. This networking session, fostering the intention to purchase, helping local small and medium enterprises to enter into the global trade market, was highly appraised by both buyers and exhibitors. Stepping into the period of "The 12th Five Year Plan", textile industry in China should undergo massive enhancement. 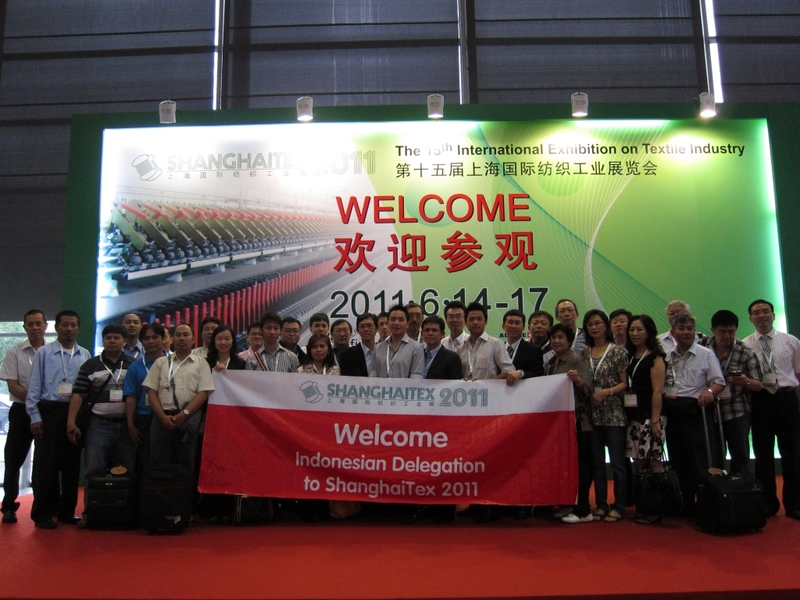 Riding on this trend, ShanghaiTex 2011 built a brand new platform for technological exchange and internatioanl trade. 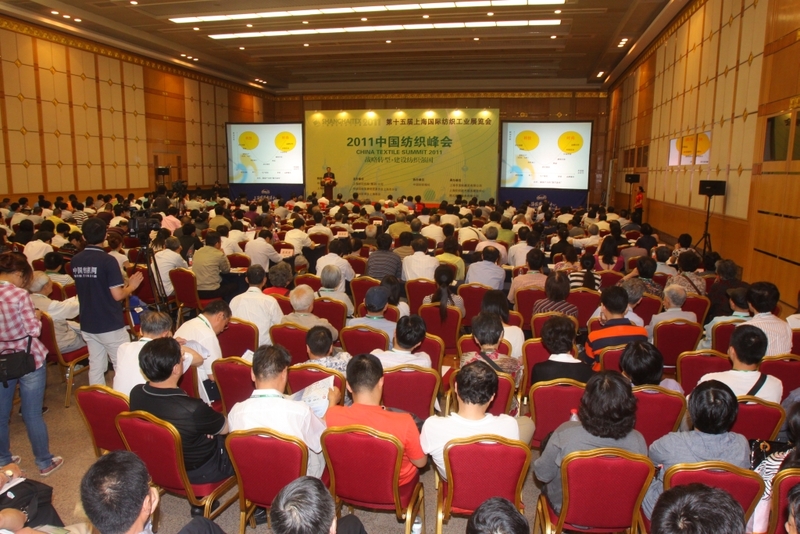 A series of concurrent activities were held, including "The 2nd China Textile Industry Summit ", "2011 National Conference on New Dye & Finishing Technique and Eco-friendly Chemicals", symposium on the latest technology, equipments and products of weaving industry, technical seminar on "Innovation and Prospect of Modern Carding Machine" , and many more. Key exhibitors such as Stoll, Karl Mayer, Santoni, Aotu, Cixing, Chemtax and Shima Seiki, Pacific Mechatronic (Group), Truetzschler Textile Machinery etc demonstrated their latest innovation by participating at various technical networking events. Moreover, in order to extend the gratitude to all supporters, sponsors, media as well as exhibitors, buyers from all over the world, the organizers launched a ShanghaiTex 2011 opening reception dinner on June 13, 2011, which was 1 day prior to the opening of the show. All attendants celebrated the inauguration of ShanghaiTex 2011 and networked with industry players throughout the night. The next edition of ShanghaiTex: The 16th International Exhibition on Textile Industry (ShanghaiTex 2013) is confirmed to be held on June 10-13, 2013. Interested parties please visit www.ShanghaiTex.cn / www.siec-ccpit.com/shanghaitex / http://www.ShanghaiTexOnline.com for more information about ShanghaiTex 2011.